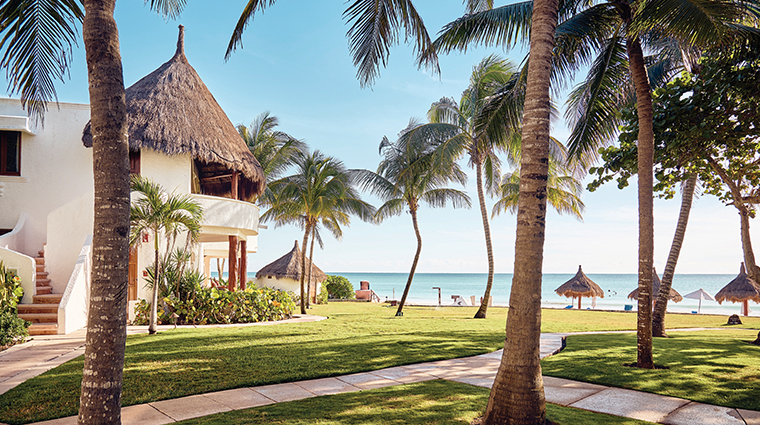 With an unassuming entrance tucked away in Riviera Maya, Belmond Maroma Resort & Spa is a quiet gem obscured by lush foliage and giant coconut palms. 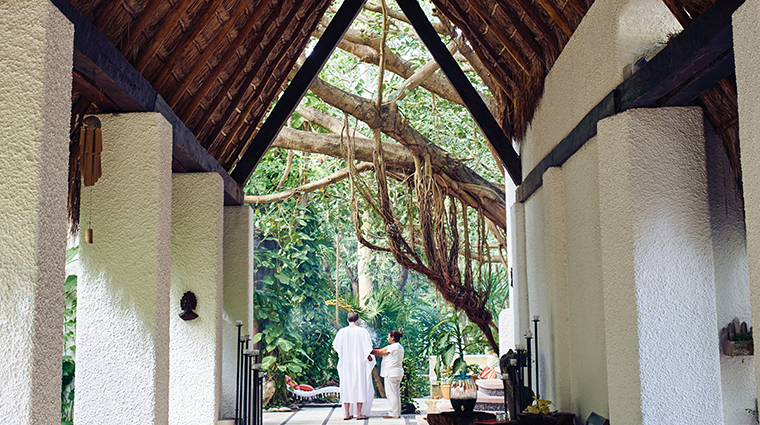 Guests take a short drive under a tropical canopy to discover a luxe, colonial-style hacienda with gorgeous manicured gardens surrounding a pool. 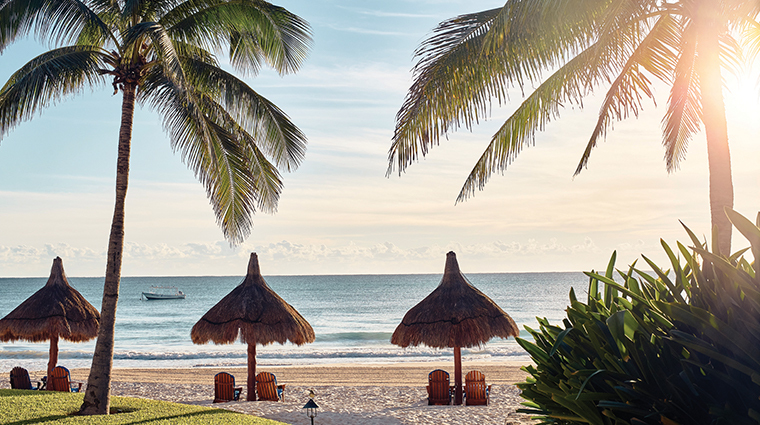 Two things make the arrival experience especially sweet — the welcome drink, a house-made margarita infused with licorice and honey-flavored liqueur, and a peek at the white-sand beach and endless blue horizon beyond it. 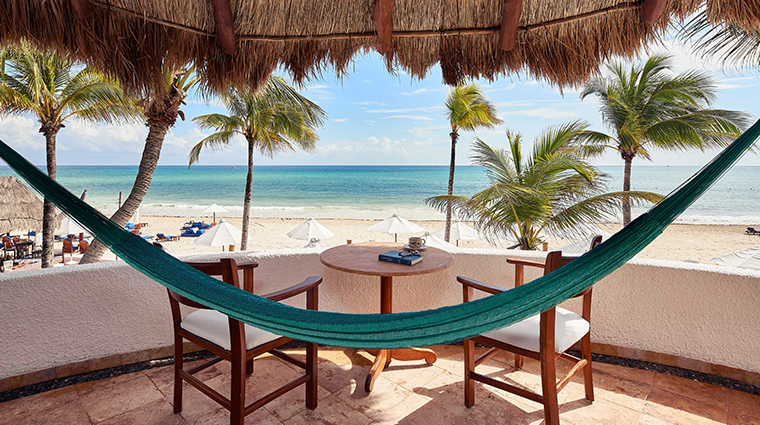 Located between the sometimes-touristy Cancun and the sleepy bohemian town of Tulum, the luxury resort resides on a gorgeous stretch of beach surrounded by tropical jungle. 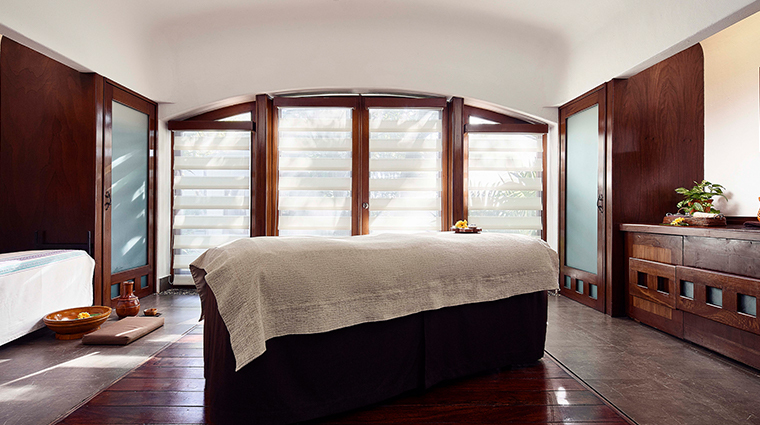 At Kinan Spa, services take place in eclectic environments, including treatment rooms with private gardens, Zen garden pavilion rooms (for al fresco pampering) and a rooftop tower space with jungle canopy views. From yoga retreats and meditation sessions to a 560-square-foot fitness center and two tennis courts, the active set will have no trouble squeezing in the perfect workout. 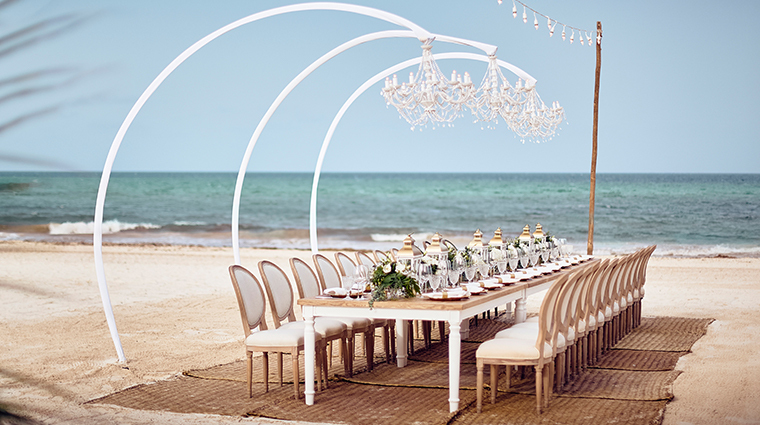 The resort can arrange sailing expeditions, snorkeling trips to the world’s second-largest barrier reef nearby, golf and even swimming in the region's spectacular cenotes. 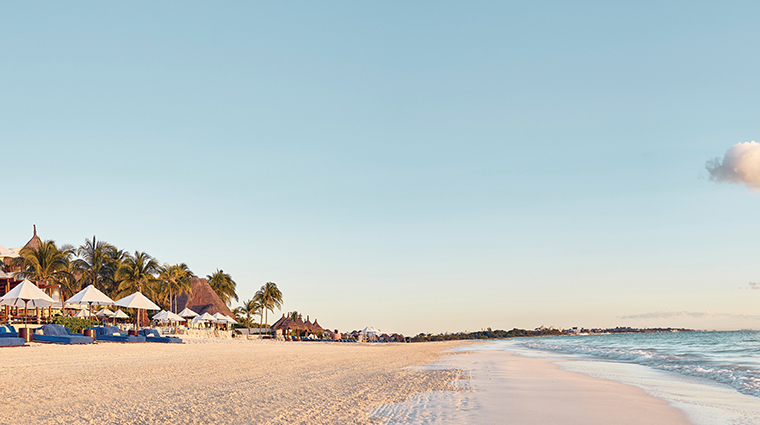 Experience Mayan cultural treasures through the filter of Belmond’s signature luxury — a helicopter tour to Chichén Itza starts on the beach and sweeps you off to the ancient ruins. Designed with privacy in mind, Oceanfront One-Bedroom Suites are the prime accommodation here, offering multiple living areas, bathrooms with double sinks and double showers, a fitness area with free weights and cardio equipment, an ample terrace with chaise lounges and a private plunge pool, exclusive beach access and a palapa for spa treatments. From May to September, take advantage of the rare opportunity to see and snorkel with whale sharks. 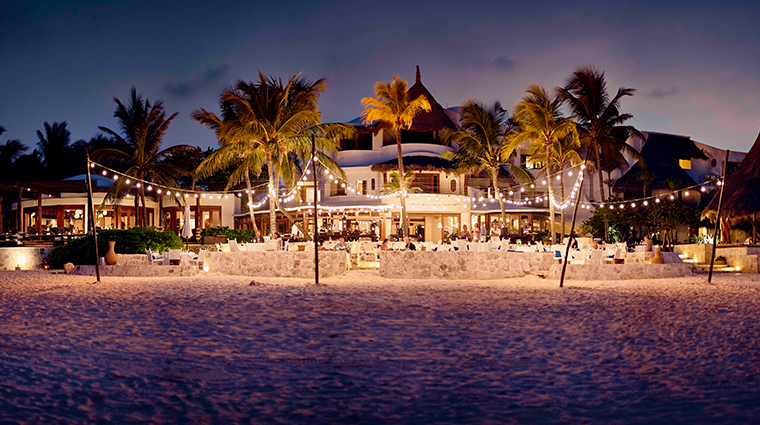 Explore the area around the resort to get a little taste of Mexico’s nightlife. 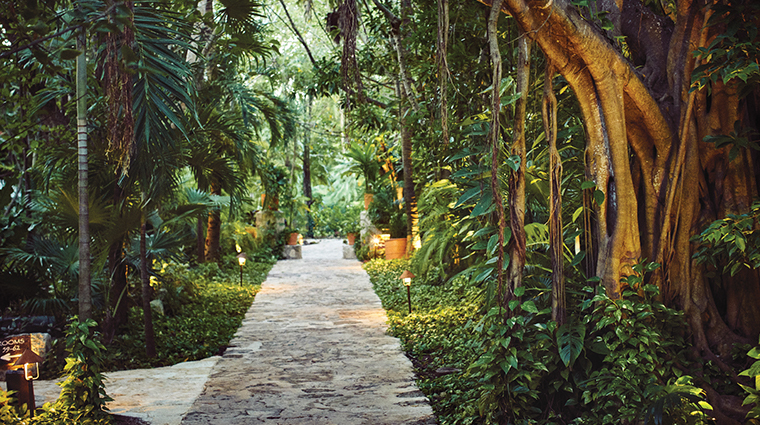 Nearby Playa del Carmen serves up cobblestone streets, world-class shopping, and hip bars and restaurants. 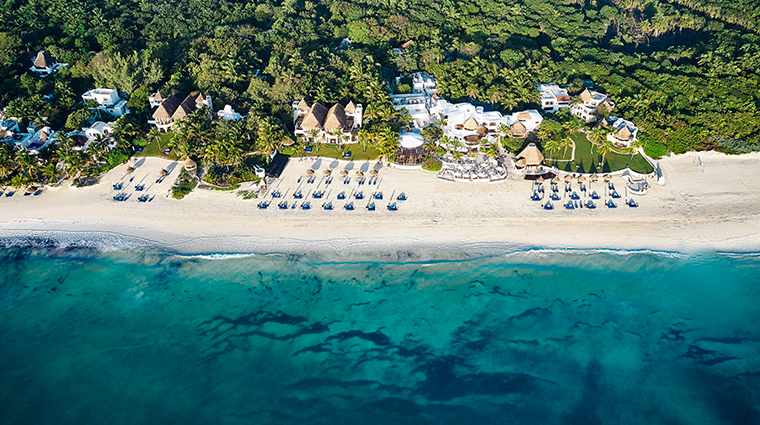 For those looking to realign the spirit, the beachfront Temezcal ritual at the Kinan Spa should do the job. 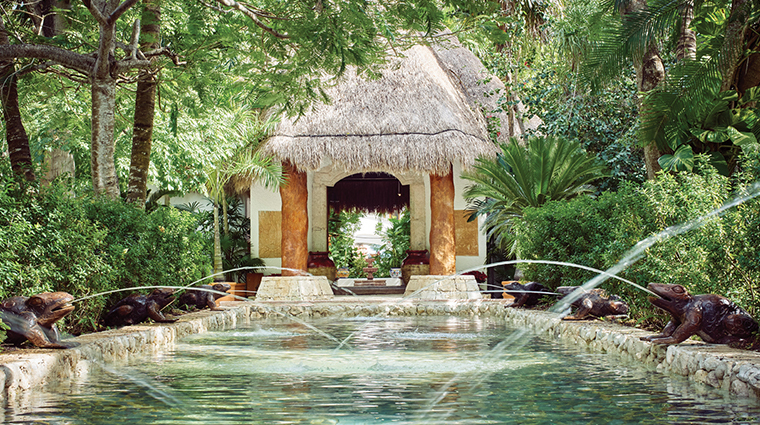 Inhale the herbal steam and listen to the sounds of traditional drums and crashing waves as a Mayan shaman leads you though this unique meditation session. 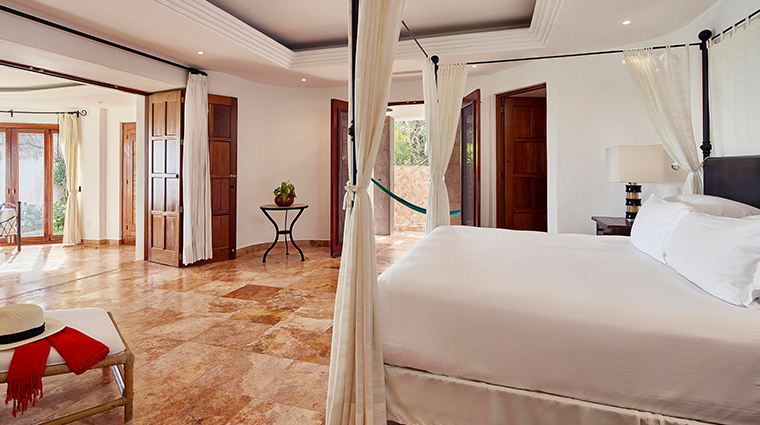 Guest rooms are immersed in authentic Mexican design details and boast either ocean or garden views. 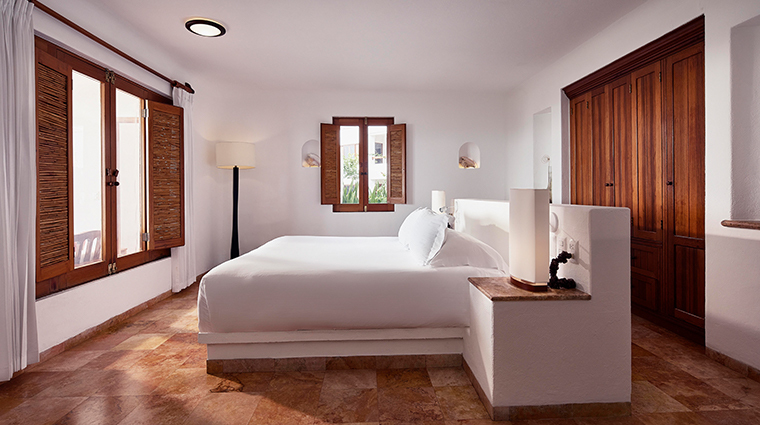 Expect crisp white, hand-loomed bedding, bathrooms decked in unique Mexican tiles and private terraces with hammocks for daily siestas. 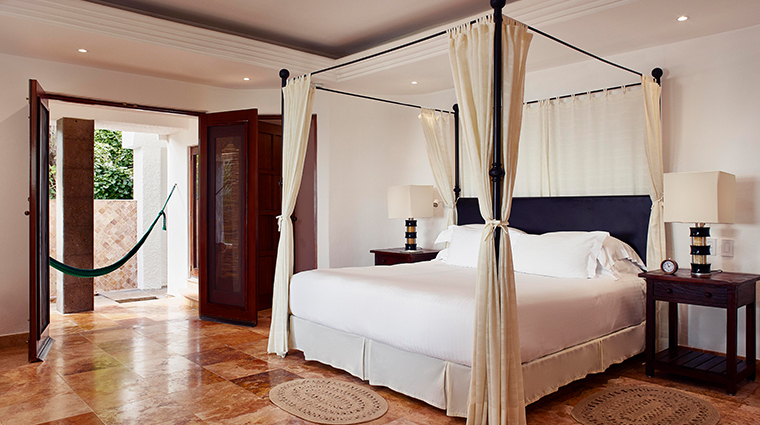 The extras are both thoughtful and plentiful, including comfy cotton kaftans, handmade sandals (in place of slippers), nightly turndown with aromatherapy, and a selection of organic soaps and shampoos handcrafted with locally grown herbs. 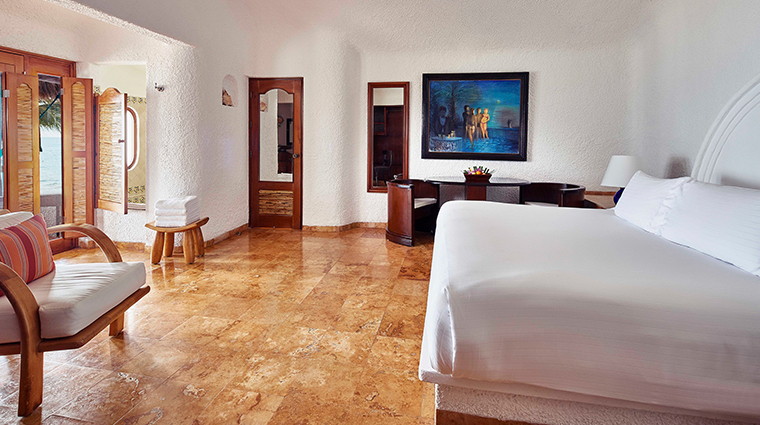 Junior Suites have spacious bedrooms and open bath areas, and stunning views of the Caribbean Sea from thatched roof terraces. Facing either the gardens or the ocean, Master Suites — more modern than rustic — are well-appointed and have generous walk-in closets. 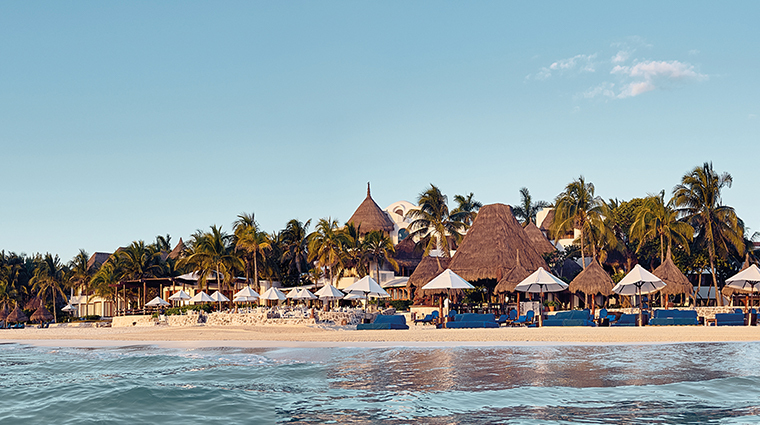 Any culinary journey here should begin at the beachside Freddy’s Bar, which serves an international snack menu alongside the region's most extensive collection of tequila and mezcal. 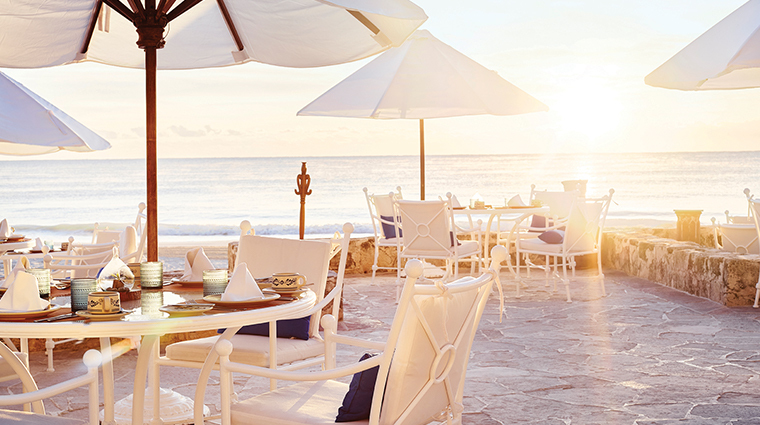 El Restaurante's breakfast and lunch menus feature regional Mexican cuisine served on tables overlooking the Caribbean Sea. 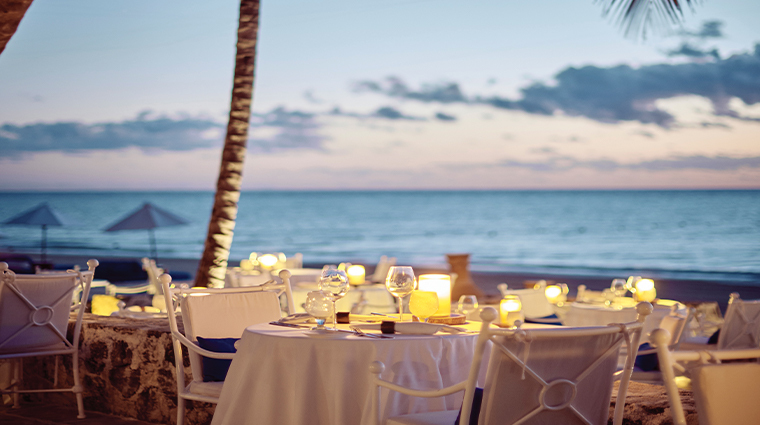 In the evening, you'll find dishes that blend traditional local flavors with Mediterranean flair. 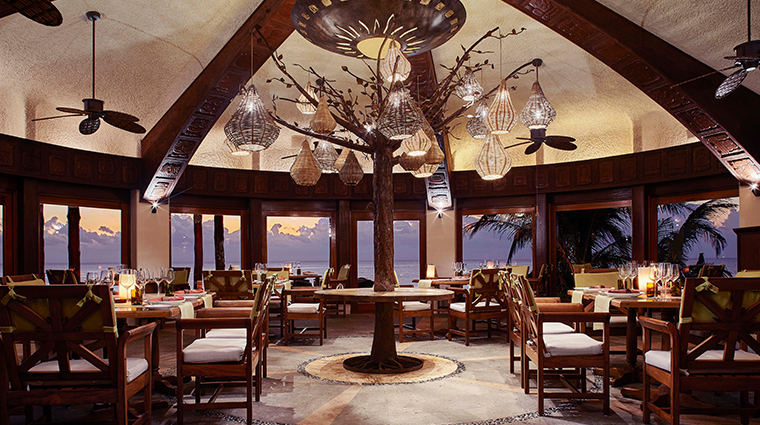 El Sol serves farm-to-table Mexican cuisine and supremely fresh seafood in a stylishly rustic setting. The staff will happily recommend vino pairings from the wine cellar, an award-winning collection of local and international labels. 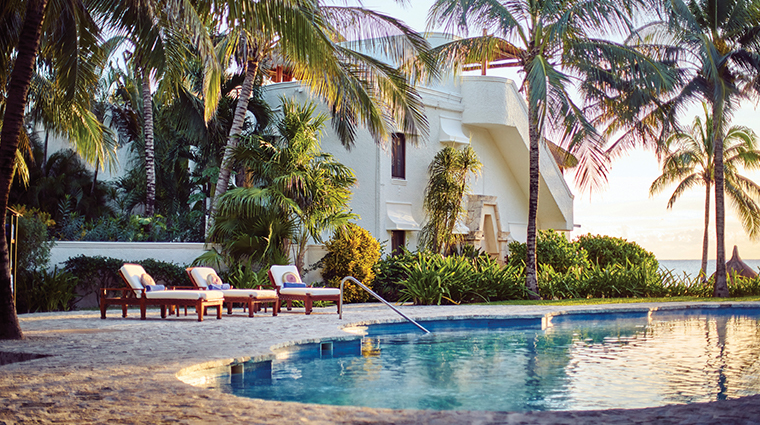 Learn about Mexican vintages in the wine cellar on Fridays or opt for a tequila tasting in the lobby bar on Saturdays.